Smaller monthly updates for Windows 10 may help push the operating system onto more machines as its predecessor faces retirement, a patch expert said. "Lots of companies are feeling the pain [of large updates] and deferring or delaying migration to Windows 10 because of that," said Chris Goettl, product manager with client security and management vendor Ivanti, in an interview last week. "We should see Windows 10 adoption move forward again because [customers] can overcome the size problem." Currently, Microsoft delivers three different sizes of quality updates — security patches and non-security bug fixes that are issued several times monthly — full, express and a third, dubbed delta. However, beginning with Windows 10 1809, the feature upgrade set to ship next month or in October, Microsoft will offer only one size; that update will be considerably smaller than what Microsoft now calls the full update and only slightly larger than express on individual PCs. Microsoft has not put a label on the new update size, although a company manager called it the small update last week. Goettl called the update size reduction a "huge benefit" to Windows 10 users. "[Smaller updates are] especially important when you get into retail and manufacturing, really anywhere where you don't expect a lot of network traffic," Goettl said. "Those locations usually don't have any bandwidth to spare." Others concurred. "This has been a major issue for many of my customers not to adopt Windows 10, as they have poor network connectivity and slow networks," reported someone identified only as Anoni Moose, in a comment appended to Microsoft's 16 August announcement. "Having a gig[abyte] or more of an update come down every month means that you blow your bandwidth, or in the case of mobile laptops, they don't get updated like they should," observed Susan Bradley, a computer network and security consultant who also moderates the PatchMangement.org mailing list and writes for AskWoody.com, the Windows tip site run by Woody Leonard, a Computerworld columnist. Update size is not a new problem for either Microsoft or Windows. By their nature, cumulative updates grow in size as time marches on, a feature most customers believe is a bug at best, a plot by Microsoft at worst. The inherent update bloat was one reason why Microsoft laboured to pare their size by, for instance, offering delta updates in early 2017 and express updates as of version 1607 (the feature upgrade released in mid-2017). As the size of updates increased, so did the users' ire. According to Microsoft, full updates are larger than deltas, and deltas are larger than express updates. The latest tactic aims to slash the sizing categories from three to one, which will — unlike the current offerings — work across both Microsoft's own patching platforms (Windows Update, Windows Server Update Services, System Centre Configuration Manager and others) and third-party patch management software. "What is really great about the new smaller package format is that same file is available from Windows Update, WSUS, and [Microsoft Update] Catalog," wrote Mike Benson, a principal program manager in the Windows division, in a comment on the Microsoft blog post. "So even if you download from HTTPS (Catalog) and double-click to install, you get the smaller experience. Unlike express that only worked via Windows update or WSUS or third-parties' solutions that support the express protocol." Goettl's viewpoint was broader, as he saw the smaller updates as key to reducing resistance to adopting Windows 10. 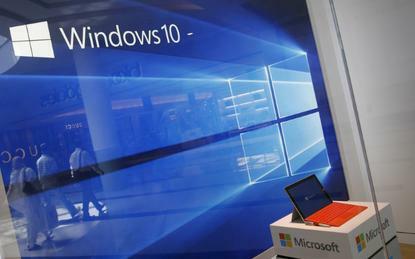 He called it the "last significant barrier" to Windows 10 for commercial customers, who face a fast-approaching end to Windows 7's support in mid-January 2020. Not everyone shared Goettl's optimism about sunnier skies. Bradley, who last month led a call for Microsoft to improve the quality of Windows 10's monthly updates, sounded ambivalent about the size reduction. Calling the quality issue a "bit of a political hot potato," Bradley said she was still saddened at Microsoft's response to the concerns she and hundreds of IT professionals voiced. "I expected better," Bradley reiterated. "[But] at least they acknowledged this size problem and are tackling this."